Given the choice between a life without your car or void of the company of man’s best friend, most devoted dog owners would probably plump for walks with their furry friends over time spent in a Fiesta. So why has pet insurance become such a thorny issue for many? In recent months there have been reports in the press about rejected claims and even stories about dog owners who have been charged extra for taking their poorly pets to professionals that aren’t on their insurer’s pre-approved list. Today on the SMP blog we’re looking at how you can avoid the pitfalls of pet insurance to search out the best insurance for dogs. 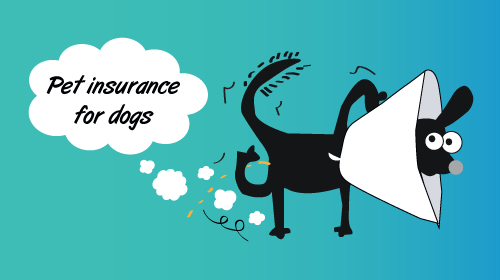 Is dog insurance worth paying for? If your pet insurance is up for renewal or you’re about to welcome a new pup into the family, you may well be wondering whether stumping up for dog insurance is the most sensible option. The answer will depend on whether you have significant savings stashed away that you’d be prepared to dip into should your dog need treatment. When things go right, there is no substitute for peace of mind, as Shannon wrote about her Green Insurance company review. While many people prefer to pay into an easy access savings account and gain interest on their money rather than putting it into the pockets of an insurer in the form of premiums, doing so doesn’t really provide effective protection unless you have a sizeable nest egg to start with. Common operations to treat broken bones can cost upwards of a few thousand pounds and if your pet is unlucky enough to suffer an even more serious or long term problem it could cost you even more. It’s also worth remembering that pedigree animals are often more likely to contract certain medical conditions, so if your animal falls into this category you should not consider whether you could potentially afford on-going costs of treatment. And, if you do decide to opt to insure, you’ll need to check there are no exclusions surrounding such incidents. Without public liability cover as part of pet insurance you leave yourself open to additional costs if your dog causes injury or accident. If your dog ran into the road in front of a bus and caused an accident you could be sued and may need to pay your own legal fees and compensation. What level of protection does your dog need? You love your pet dearly but does it really need a gold or platinum level insurance policy? What are the differences between basic and higher level policies and is it worth paying the difference? Generally, dog insurance is offered in three tiers; as whole of life insurance that allows you to claim up to a capped amount throughout your dog’s life, as annual cover with no time limit on how long you can claim for a particular illness but a cap on how much you can claim each year and as annual cover that limits how long you can claim for a condition and caps overall fees on a 12-monthly basis. 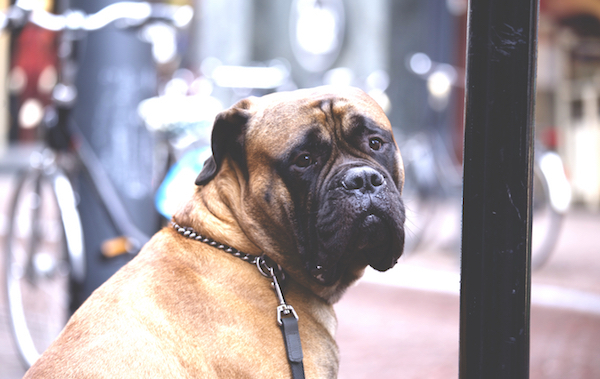 Within this you may find some policies include nice-to-have extras such as boarding cover that kicks in should you need to spend time in hospital and need someone to care for your dog. You may also opt to have holiday cancellation protection that pays out if you need to stay at home because your dog is ill. Some insurers also include a budget for promotional materials to help find lost dogs. And, if you can’t bear to go away without your pooch, you will find that some policies will cover them for trips away too, though you’ll need to have their pet passport in place and check whether your policy has any restrictions on the length of vacation or the countries you visit. Not all pet insurers are on comparison sites, so while it may be visiting them as a starting point to see what you’ll get for your pounds, it’s also worth ringing insurers with a checklist of your requirements to get matched up with the level of cover you need. It tends to be harder to find cover for older dogs and if you want to change providers, you’re likely to find you won’t be covered for pre-existing conditions. Dogs that have dangerous dogs such as pit bulls as part of their heritage you are likely to find it incredibly difficult (and potentially impossible) to find cover. More recently, owners have seen partnerships between insurers and vet networks result in them having to pay at least part of the bill if they don’t take their pet to visit preferred professionals. This of course leaves you with the potential of travelling further with a poorly pooch or having your pet treated by an unfamiliar vet. As with all financial agreements, the key message is to check the small print! When things go wrong, such as with in this Petplan review, they can be horrifying. You want peace of mind when it comes to your four-legged friend’s health but there’s no need to pay over the odds. Tried and tested ways to reduce the cost of cover include ordering online, doubling up with multi-pet policies from the same provider and exploring options not advertised on comparison sites. If you have whole of life cover it can seem difficult to switch to save if your pet has a pre-existing condition that won’t be covered by a new provider. However, if you’re happy to cover the costs of that specific area of care or an illness is unlikely to return you could still save by switching and you could even find yourself in receipt of a freebie or two – such as retail vouchers - for doing so. Let other owners and pooches know how you rate your insurer and see how potential insurers measure up for customer service and value by checking out our community pet insurance reviews today. Or vote in our Insurance Choice Awards!